14. Do you protect your hair while you sleep? You should wear a satin scarf or satin bonnet to bed. If you don’t have one or you don’t fancy them for one reason or another, put your hair into a protective style (e.g a very loose bun) and sleep on a satin pillowcase. 15. How do you style your hair? What type of comb do you use? Check your ponytail bands: Do they have rough edges or seams? Do you have your hair in the same bun everyday? Stressing your hair in the same way day in, day out can cause breakage. Move it around: do a high bun today, a low bun tomorrow, use a clip the other day, etc. Do you use gels? You should wash out the gel before brushing through your hair unless it is a very light or comb-through gel. Check your comb…does it have rough edges? If you can afford it, look out for seamless combs. 16. Did you just take out a braid or weave? Or cornrows? I find that hair has a tendency to break more after taking out a braid or weave. Finger detangle your hair when you undo a braid or weave. When you have taken out all the kinks, you can then detangle lightly with a wide-tooth comb. To reduce breakage, you can skip using a comb but make sure you finger detangled thoroughly otherwise you will lose more hair when you wash! 17. Do you use a brush on your hair? Brushes are not ideal for relaxed hair. If you want to smoothen your edges or the top of your hair, ensure that you use a 100% boar bristle brush. 18. Did you just relax your hair? How many minutes did you leave the relaxer in your hair? Was it more than the manufacturer’s recommended time? Aim to keep the relaxer in your hair for no longer than the recommended time when you do your next touch-up. Deep condition your hair regularly to nurse it back to health. 19. Did you just colour your hair? Using colour on your hair increases its porosity leading to chronic dryness and breakage. To reduce porosity, you should use a light protein conditioner regularly and follow with a moisturizing deep conditioner afterwards. 20. How do you air dry your hair? I’ve noticed that if I don’t use very softening leave-in conditioners and oils on my hair when I air dry, it comes out rough and crunchy….this translates into breaking. When you intend to air dry your hair, make sure you deep condition with a conditioner that makes your hair soft. Do a final rinse with apple cider vinegar followed by cool water. This will help seal your hair cuticles and give you a smoother looking air dry. To read How I air dry my hair without frizz, please click HERE. If you keep getting crunchy rough air dried hair, opt for rollersetting OR blow drying WITH COOL AIR. 20. Do you blow dry your hair frequently? With hot air? Do you comb through your hair when you blow dry? If you want to blow dry your hair, use one that produces cold air. 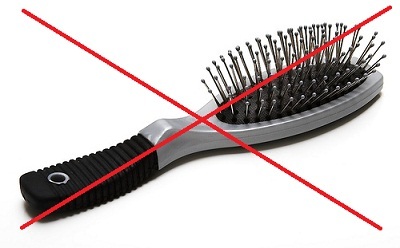 Don’t comb your hair while blow drying: this can result in breaking. You can finger comb lightly. Please watch my video on How I blow dry my hair with cool air. 21. Do you flat iron your hair frequently? Flat ironing frequently can result in breakage, especially when you don’t use a heat protectant. You can roller set your hair and then wrap it… that will make it straight. 22. When you rollerset your hair, do you notice breakage? When you rollerset your hair, you would probably reach for a rattail comb to ensure that your set comes out smooth. This can result in breakage. Next time, do a 3-step detangling: comb each section with a wide-tooth comb first. Then a medium-tooth comb before you use the rattail comb. 23. Do you apply oil to hair that is not well moisturized? Sometimes when I do this, I find that my hair breaks. I usually do the Green House effect on my hair at least once a month. This involves applying oil to your hair, wearing a shower cap and leaving it on for a few hours. Read more about the Green House Effect HERE. Sometimes, if my hair is already very dry before my wash day, I spritz my hair with a little water before I apply the oil. 24. Did you notice that a particular part of your hair breaks more than other parts? 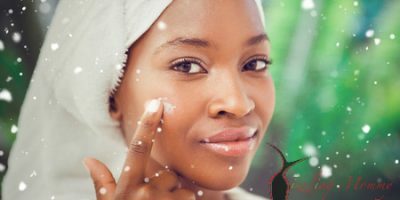 You might not be moisturizing that area sufficiently. When you moisturize, aim to concentrate on that region. Do you constantly apply hair accessories to that particular side? 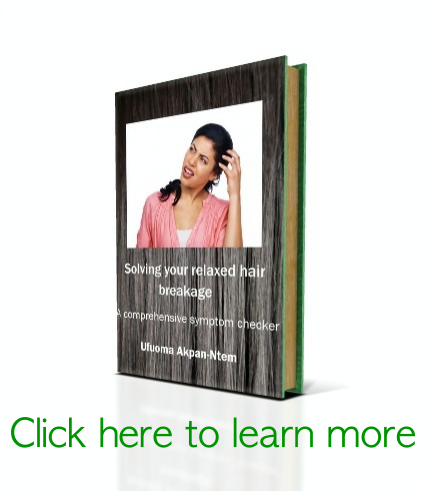 I have tried to cover as many causes of hair breakage as I can. If you have more issues, please let me know and I’ll be glad to answer them. Very informative, pls keep up the good work Dr.
What kind of ponytail holders can be used that don’t have seams?